tie one on: November's theme - Holiday Fun! 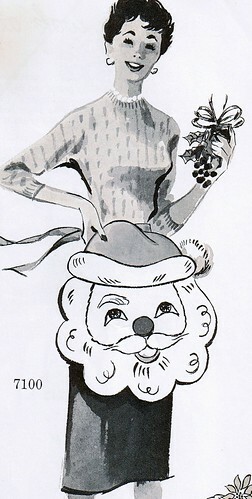 November's theme - Holiday Fun! I think this is very naughty and that's all I'm going to say about it. nice holly! 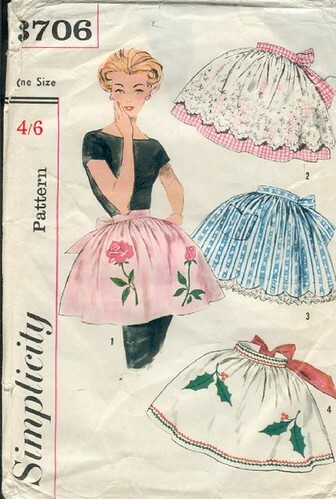 All these photos are from the wonderful vintage apron patterns group on flickr (thank you all so much for contributing and making it such a great group) please click on the photo if you would like to see who owns these lovely patterns. 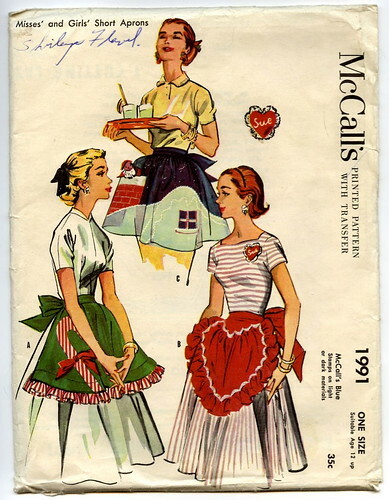 There are so many great vintage Christmas aprons out there (have a look here) but I am leaning towards a Thanksgiving one-tough decision. 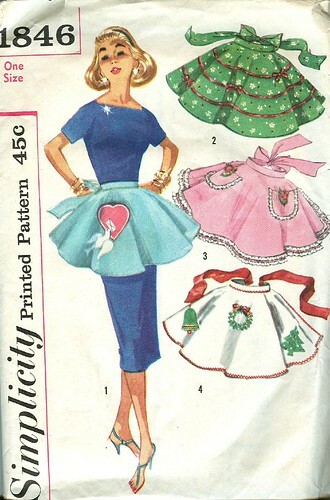 Then again, I have so much Christmas theme-y fabric that I need to do something with and could make matching ones for the girls when we bake cookies. . .oh the domestic goodness is almost too much!